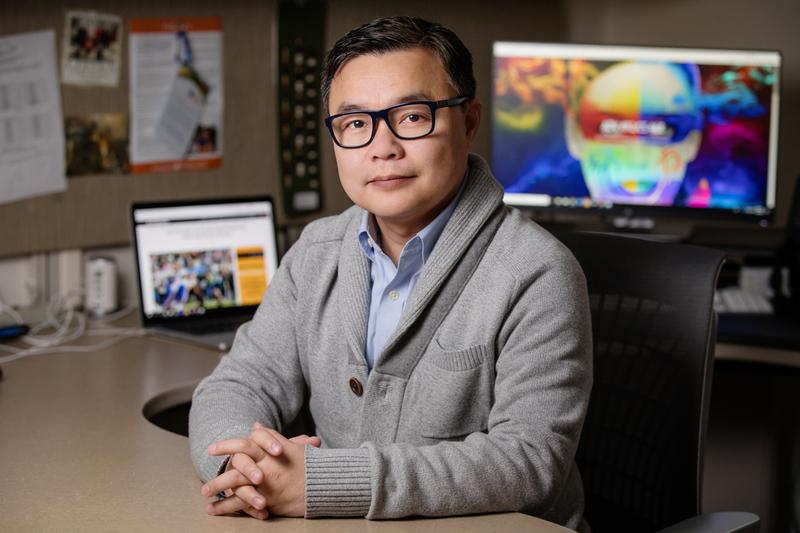 The individualized ads already common online are also coming to our smart TVs – a challenge not only to mass television marketing but also to personal privacy, says Mike Yao, a professor of advertising who specializes in digital media. The Super Bowl, coming Feb. 4, has been an advertising showcase for decades now. 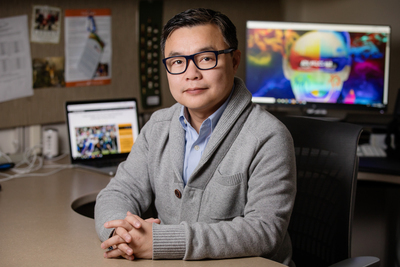 But advertising professor Mike Yao, who studies digital media, says changes in technology and viewing habits are also changing the game for advertisers. He explained how with News Bureau social sciences editor Craig Chamberlain. Every year there are news stories about why it makes sense for companies to spend millions on a single 30-second Super Bowl commercial. So what’s different now? The Super Bowl attracts more than 100 million viewers from a wide demographic and it’s the most-watched TV event in the U.S. each year. That alone is a good reason why many companies continue to bet big dollars on this one occasion. The often provocative, noteworthy or controversial ads also dominate the attention of traditional and social media well after the game. Super Sunday for the advertising industry is like the Christmas shopping season for retailers. However, there are a couple of looming threats to the returns on such investment. First, the viewing habits of TV audiences are rapidly changing. Recent Nielsen statistics show a nearly 50 percent decline, over just five years, in average weekly traditional TV viewing time among Americans ages 18-24. According to studies, consumers are spending more time with their mobile devices and less time with all other media. The viewership for NFL games also is in decline. Second, the very concept of mass TV advertising is being challenged by technology and data-driven consumer targeting. In the past decade, online display advertising has been taken over by algorithm-based programmatic methods. Each web impression – every time a webpage is displayed to an internet user – can be bought and sold as an advertising opportunity. Two individuals visiting the same webpage at the same moment can be shown different ads based on their social and demographic characteristics and previous behavior, tracked through cookies and other public or private data sources. With the wide penetration of smart TVs and internet-based digital TV services, TV ads will soon be bought, sold and displayed in the same way. Tech giants like Adobe and Google are betting big on programmatic TV. The marketing industry predicts this as an inevitable shift in digital advertising. If this prediction comes true, then instead of seeing 40 or so big-budget ads from a dozen big brands, millions of viewers might be seeing thousands of different ads tailored to who they are, where they are and what they like. What are your concerns in this ongoing shift toward programmatic or targeted advertising? There are many reasons behind this paradox, but a consistent one is internet users’ inability to accurately detect, correctly interpret and proactively prevent privacy threats in the rapidly changing and increasingly complex technological environment. Look at a simple scenario of a user seeing a targeted advertising message when using Facebook on a smartphone. Most people barely know of the data gathering and computational processes involved in the display of that ad, let alone how to properly control and manage them. In the age of artificial intelligence and ubiquitous computing, most individual consumers and lawmakers, despite their deep concerns, do not have the necessary knowledge and capacity to monitor and protect the right to privacy. Consumers, myself included, are letting various smart devices – including digital assistants, smart appliances, internet-connected security cameras, smart thermostats and even smart door locks – enter our most intimate spaces. These technologies make our lives better by anticipating our needs and delivering the right information to us at the right moment. However, at what point do we need to look at the cost of having such convenience? More importantly, how can consumers make a rational choice about giving up certain aspects of their privacy in exchange for such a convenience, if they can’t even understand the processes? As much as I often feel pessimistic about our digital future, we should not give up on protecting our digital rights so easily. Looking at history, with every major development in media and communication technologies – be it printing, mass publishing, photography, video or telecommunication – human society has experienced a period of adjustment. The very concept of privacy would be challenged and then renegotiated. The solution is not to reject or to ignore. We should all become informed and active consumers and be a part of the process of technological innovation. Editor’s note: To reach Mike Yao, call 217-318-9147; email mzyao@illinois.edu.